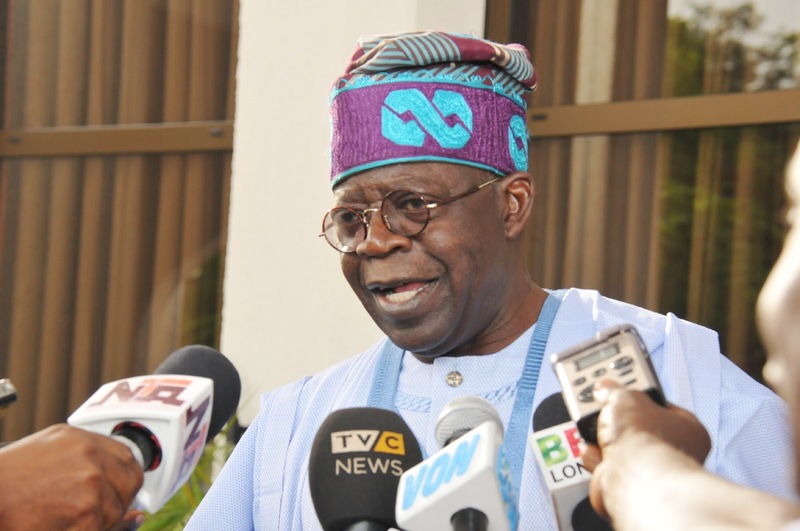 The national leader of the All Progressives Congress, Asiwaju Bola Ahmed Tinubu, has reacted to pictures of him with some members of the Peoples Democratic Party, PDP, in Lagos on Wednesday. Tinubu, in a statement by his spokesperson, Tunde Rahman, denied any allegiance with PDP, explaining that the picture was only taken when PDP women led by former spokesperson of Department of State Services, DSS, cornered the former Lagos governor at the airport and begged him for a selfie which is now being used for blackmail by the opposition party. He stressed that Tinubu’s picture with the PDP women leaders which has gone viral is being used by PDP ‘warriors’ to blackmail and indicate that the national leader of APC may quit his party ahead of Saturday’s presidential election. The statement read: “Yesterday on our way to Abuja, APC Leader, Asiwaju Tinubu, bumped into some PDP stalwarts at the Private Terminal of the Murtala Muhammed International Airport, Ikeja. “Now, Marilyn Ogah and PDP elements have turned this noble gesture depicted in the photograph below into propaganda machinery and an instrument of blackmail. “They even want to place this photograph as an advertorial in Newspaper in their desperate attempt to smear Asiwaju and curry support. The photograph has been turned into an instrument of blackmail. This is sad indeed.